The Killerspin Canvas paddle is a commercial grade product made for commercial facilities and is suitable for either indoor or outdoor play. The paddle is very durable and has wonderful control and spin. This is an indoor/outdoor paddle designed to be weather resistant, so you can take your game outside without worry. It is made of plastic with durable hard rubber. This enables good control and perfect spin for recreational play. The padded racket handles are comfortable and easy to grip. 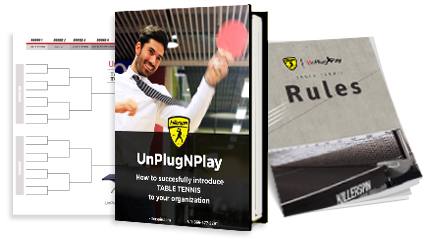 Comes with a free Killerspin Memory Book ($24.99 value).